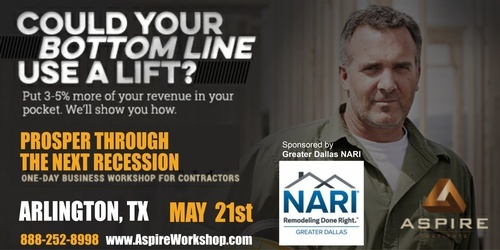 This event is sponsored by the Greater Dallas NARI Chapter of the National Association for the Remodeling Industry (NARI). Fellow NARI members receive exclusive discounted pricing. Use code: NARI for online discount.